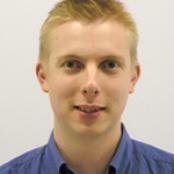 Julian Jones is a Royal Academy of Engineering and EPSRC Research Fellow. He was awarded the fellowship in 2004. Prior to this he held a two year Lloyds Tercentenary Foundation Fellowship, having completed his PhD here in the department in 2002. He joined the Department having obtained an MEng in Metallurgy and the Science of Materials from Oxford in 1999. His research interests are in biomaterials for regenerative medicine. His work on process development of foamed gel-derived bioactive glass (the first 3D porous scaffold made from bioactive glass) has produced scaffolds suitable for tissue engineering applications with hierarchical structures similar to that of trabecular bone. His research group consists of 6 PhD students and a PDRA. The group's research interests involve the development of porous scaffolds for tissue engineering, novel 3D characterisation techniques of porous materials, the development of novel nanocomposite materials, the processing of glasses, bioactive materials, protein adsoption to nanotextured materials, cell responses to biomaterials and non-invasive cell-material interaction analysis techniques. In 2007 he was awarded a prestigious Philip Leverhulme Prize for excellence in engineering and in 2004 he was awarded the Silver Medal by the Institute of Materials, Mining and Minerals (IOM3 ) for outstanding achievement in materials science by a younger researcher and the promotion of the subject on the international scale.